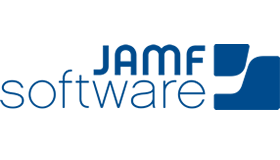 JAMF Software develops enterprise management software for the Apple platform, simplifying IT management for Mac, iPad, iPhone, and Apple TV. From National Geographic to Oxford University, more than 7,000 global customers rely on JAMF to manage 5.5 million Apple devices. Zach Halmstad founded JAMF Software in 2002. Since then, the Minneapolis-based software company has grown exponentially. Last year, the company grew from 165 to 505 employees while doubling the size of its engineering team. In 2012, Michael Kren joined the engineering team to assist with infrastructure deployment and maintenance. “We were painfully slow. We could code fast, but we had to ‘hurry up and wait’ for testing and building. We needed a stronger set of processes and technologies to get us there,” says Kren. Kren convinced the VP of Software Engineering that they needed to adopt a DevOps culture and a new set of tools to manage software development and release. Kren’s first task was to find easy-to-implement, high-value tools that enabled continuous delivery and DevOps automation. Kren found the solution with Atlassian. "After adopting Git, we moved to Bitbucket Server for managing our code repository. We then added Bamboo for its killer plan branches and branch updater features and Jira Software for issue tracking and its tight integration with Bitbucket and Bamboo. Finally, we added Jira Service Desk for tracking requests," says Kren. The new implementation builds on JAMF’s previous success with Atlassian. Teams including Internal Support, IT, Human Resources, Sales Operations, and Security already rely on Jira Service Desk to efficiently manage requests. Meanwhile, employees across the company use Hipchat for streamlined communication and Confluence for knowledge management. By integrating Jira Service Desk with Hipchat and Confluence, employees can easily pull up data about hardware assets or quickly access the internal support knowledge base. Since embracing a DevOps culture and adopting Atlassian software, JAMF has increased transparency across the company, improved code quality, and shortened release cycles. Become a high-performing team with DevOps, Jira, and Atlassian. Let Jira Software guide your DevOps journey.